Congratulations to Grand Prize Winner, Lisa Clark of Idaho and our two runners-up, Patrick Callahan of Massachusetts and Paige Norman of Alaska. 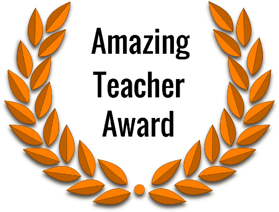 Lakeville, MN (PRWEB) May 12, 2017 -- Learners Edge is pleased to announce the 2017 Amazing Teacher Contest winners and runners-up. This year's winners have one thing in common: They are anything but ordinary. The Learners Edge Amazing Teacher contest recognizes amazing teachers that are making a difference in the lives of their students, their schools, their communities and ultimately society as a whole. "Teachers play such a critical role in the development of our youth," said Joe Cotter, Learners Edge President and CEO, "we wanted to honor three exceptional educators for their outstanding commitment to teaching and to their students." Collectively, the nominations captured the essence of what makes a good teacher a great one — creative classroom teaching; connection with students for whom an exceptional adult role model makes all the difference; and an uncanny ability to push students beyond what they think possible. Congratulations to Grand Prize Winner, Lisa Clark of Idaho and our two runners-up, Patrick Callahan of Massachusetts and Paige Norman of Alaska. As a Grand Prize Winner, Mrs. Clark will receive: $500 award forpersonal use, $500 award for her school, and an Amazing Teacher Contest award plaque. As a runner-up, Mr. Callahan and Ms. Norman will each receive: $250 cash award for personal use, and $250 cash award for their school. Below are excerpts from our winner’s nominations which speak to the how these teachers have gone above and beyond the call of duty in unique and exceptional ways. continually working towards its mission of improving the quality of teaching and learning.